Cackling like its smaller cousins the Kowakian monkey-lizards, but in its own frightening way — a low, rumbling chuckle — Kowakian apes have a bony beak and tufts of fur covering parts of their bodies. But unlike the shrill mischief makers kept as small pets, ape-lizards are relentless, hulking creatures capable of exerting brute force to obliterate whatever ends up in their path. Bony Beak and Sharp Teeth: The combination of the ape-lizard's beak and pointed teeth inflict STR+2 damage. Claws: The thick talons on the ape-lizard's fingertips inflict STR+1D damage if used in combat. Energy-resistant Hide: +1 vs. energy damage. The Kowakian ape-lizards' tough hide makes them particularly resistant to energy attacks, enabling them to shrug off blaster bolts from most pistols. Massive Arms/Hands: Kowakian ape-lizards possess powerful, muscled forelimbs. They use their large arms not only to propel themselves forward on all fours, knuckle-walking, but also to grab and crush their prey, before (apparently) devouring their prize. In game terms, they gain a +1D bonus to the damage of successful grappling attacks, as well as a +1D bonus to climbing/jumping and lifting rolls. Rarely Seen: Even well-travelled beings like Poe Dameron had never before encountered a Kowakian ape-lizard, prior to just barely escaping one, when he and Kazuda Xiono answered a distress call from Sector Six. In game terms, it is likely that most PC groups will have never seen or heard of Kowakian ape-lizards. Rumbling, Unnerving Laughter: Like their smaller cousins, the ape-lizard appears at times to laugh at the situation at hand. However, unlike the shrill cackle of the monkey-lizard, the ape's “laughter” is a menacing, low-pitched rumble. This, combined with their monstrous size and appearance, make for a formidable presence. In game terms, treat as ability to make passive intimidation rolls at 5D. 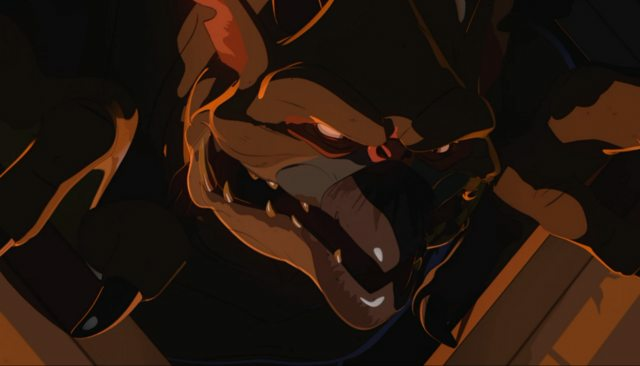 Sources: Star Wars: Resistance animated series episode "Signal From Sector Six", Star Wars databank, and https://www.starwars.com/tv-shows/star-wars-resistance/signal-from-sector-six-episode-guide . 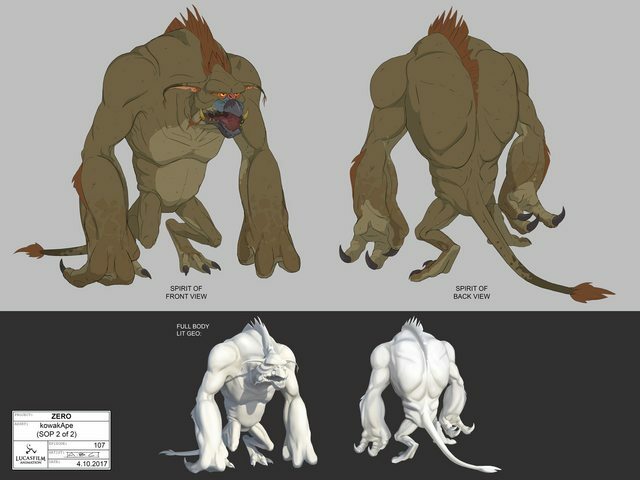 Images: Screencap from Star Wars: Resistance animated series episode "Signal From Sector Six" and concept art by Amy Beth Christensen. Capsule text adapted from: https://www.starwars.com/databank/kowakian-ape and episode guide. Stats by Telsij. He must have used the Charles Atlas method! Haha, that's the last time a Gamorrean Guard will kick sand in *his* face!